Lei Jun confirmed Xiaomi Mi6 to be announced this month - Playfuldroid! 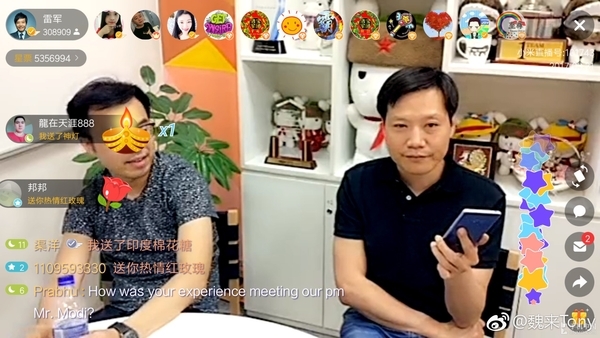 During a live stream session with Xiaomi’s fans yesterday, Xiaomi’s CEO Lei Jun had officially confirmed that the highly anticipated Xiaomi Mi6 will be announced this month. Although no specific date was given by him, but reports out of China seem to agree that the new flagship could make its debut on either April 11th or April 18th this month. Just before the live stream kicked off, a renowned leaker on Chinese Weibo had also posted a set of alleged renders of the upcoming Xiaomi Mi6, showing off the device at all angles. The leaked renders once again, added credence to previous rumors that the Mi6 would be coming with a dual-rear camera but would be ditching the 3.5mm audio jack this time round. Likewise, the device was also reportedly certified by Chinese 3C authority yesterday, hinting that its announcement is indeed imminent.